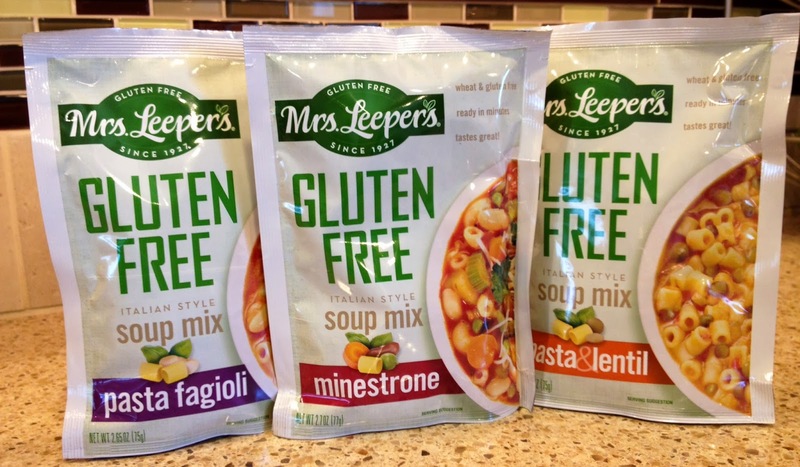 Imported from Italy, the company's new suite of all-natural gluten-free soup mixes - minestrone, pasta fagioli and lentil & pasta - are made with a blend of corn and rice pasta along with traditional ingredients like beans, lentils, carrots and onions. Each mix takes about 15 minutes to prepare on the stove top. The tender pasta in the pasta fagioli I sampled blended seamlessly with the zesty broth and made for a filling lunch. Each mix has a suggested retail price of $3.69. Look for them soon at natural foods markets and grocery stores nationwide. The soups will be available for sampling at next month's Gluten-Free Living Conference in Orlando, where I'll be a featured speaker. DISCLOSURE: While World Finer Foods provided product samples for me to review at no cost, such compensation did not influence my review. Neither I am nor any immediate family member is an employee, officer, director or agent of World Finer Foods, Mrs. Leeper's or its respective parent, subsidiary and affiliated entities, advertising and promotional agencies. Click here for my complete Disclosure.